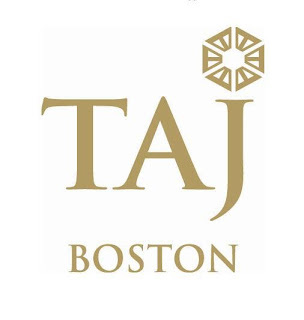 Taj Boston, our Featured Local Business Of The Week, is an incredibly luxurious hotel in the heart of it all. 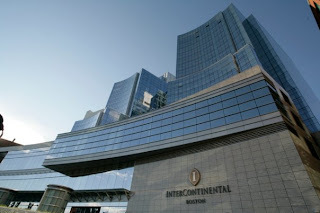 Surrounding by art galleries, boutiques & restaurants, their prime location is the perfect destination for leisure travelers, social events or business meetings. The Taj Boston also offers classic elegance & a romantic setting for your dream wedding - expertly planned and tailored to every desire. Have you signed up for our Customer Rewards Program yet? Subscribe to periodically receive special offers from Stapleton Floral Design! Would you like an email reminder for important occasions that you might wish to send flowers for? 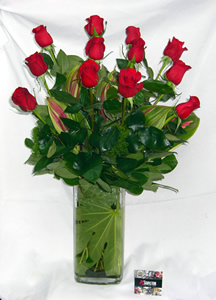 Or would like to enter someone to be eligible to have a dozen roses delivered to them every month for an entire year? Let us know by completing the form found here. You don't need to stay at a Boston hotel just to have fresh, beautiful flowers from Stapleton Floral Design. 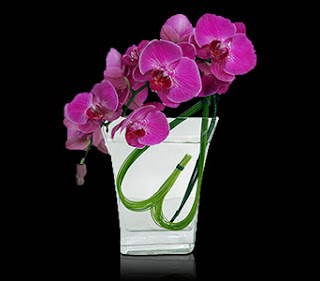 Our Tropical Elegance custom arrangement is available online 24/7! 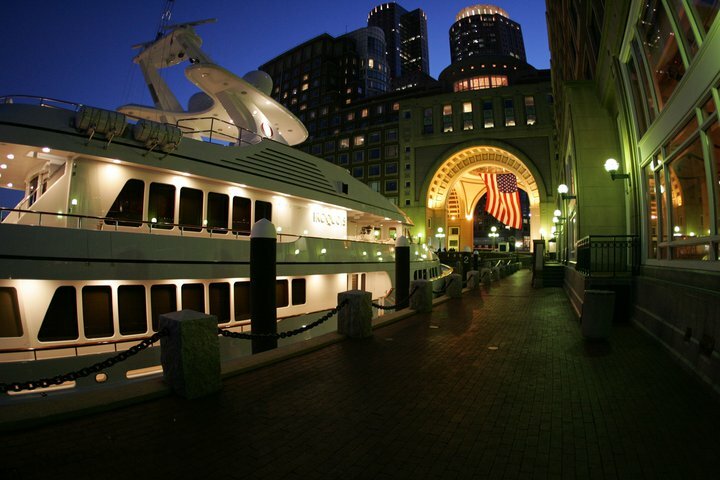 Looking to stay at the beautiful Seaport Hotel Boston? Here's something to enjoy, a fresh custom floral arrangement from Stapleton Floral Design! 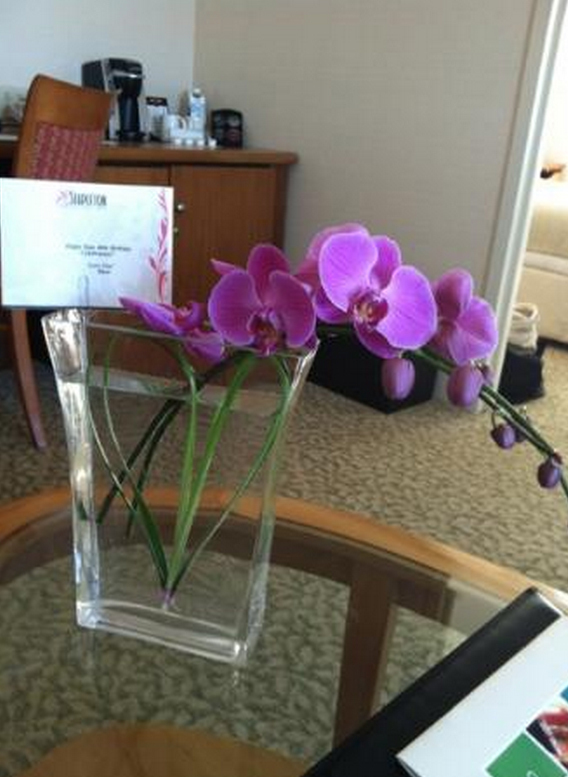 Placed there by the front desk, your hotel room will feel that much more special. A Bowl Full Of Sunshine is sure to brighten anyone's day! 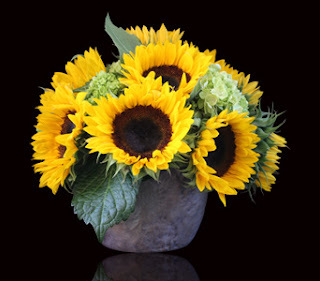 Known as a symbol of happiness & strength, the sunflower always turns its' face to the sun showing love for the light. From small private parties to state dinners to lavish affairs, the Kennedys always entertained with warmth, hospitality and grace. 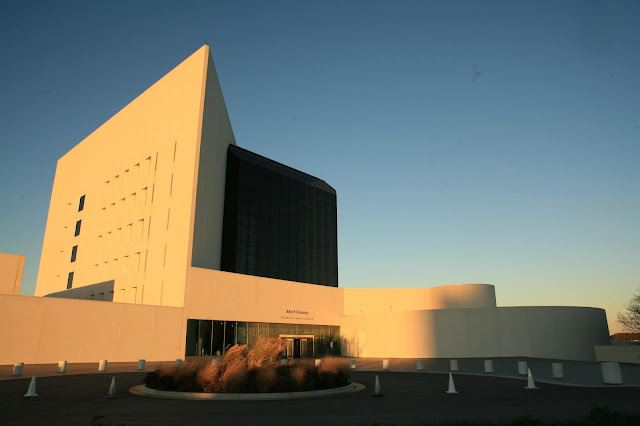 That spirit lives on today at the John F. Kennedy Presidential Library and Museum, our Featured Local Business Of The Week. As part of their mission to celebrate John F. Kennedy's vision, the library invites you to share in his legacy of leadership, inspiration and gracious entertaining by hosting your own private event. 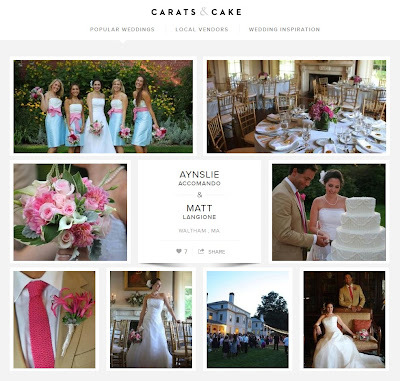 The Parisian theme wedding we did for Aynslie & Matt has been featured in Carats and Cake! Our lovely couple Marie-Claude & Jean Rene thought outside of the box for their family style wedding at Church Restaurant in Boston. The Stapleton Floral Design team created romantic bouquets for the bridal party consisting of all peach toned rose blossoms, as well as clusters of tall, medium & short glass vases filled with white dendrobium orchids, orange pin cushion protea & green echivera for the reception. Congratulations! 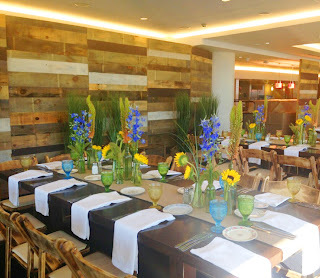 Stapleton Floral Design is pleased to have been chosen to create a "Farm to Table" theme for a large downtown company. 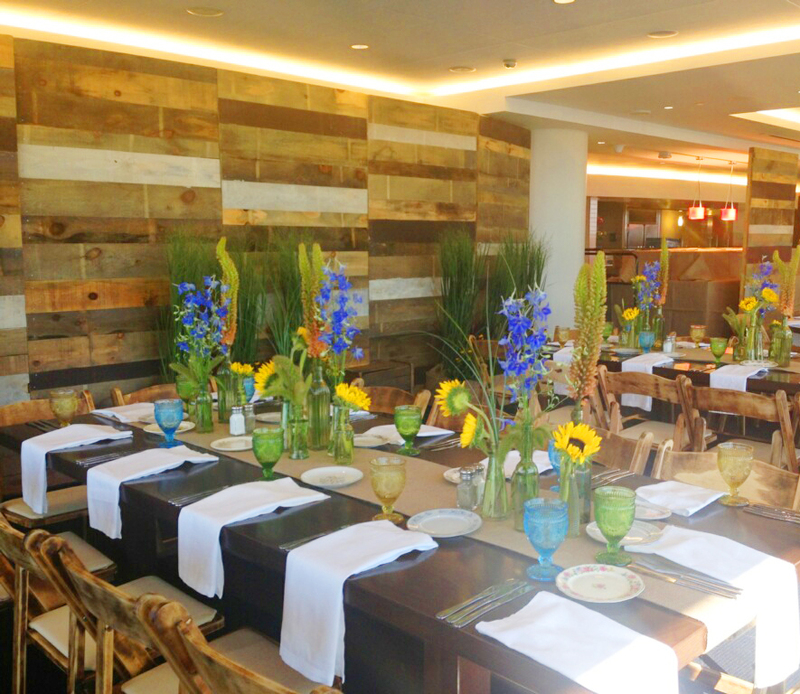 Their event planners asked our design team to help them recreate a farm setting in a high-rise building overlooking the city! A fun task with a stunning result! Their guests were thrilled and so were we! 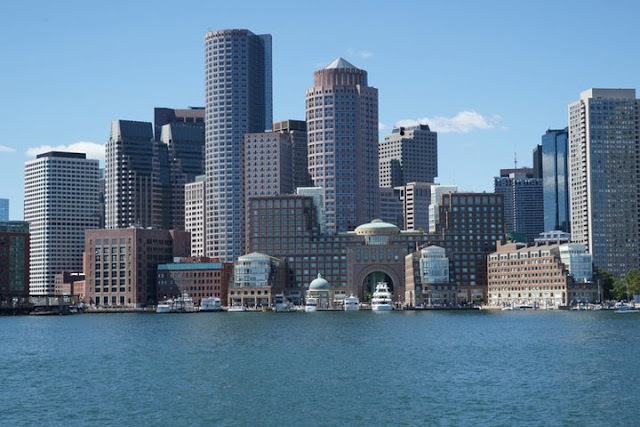 InterContinental Boston, our Featured Local Business Of The Week, is a 4 diamond AAA rated luxury hotel located in the heart of Boston. The 424 room hotel boasts a spectacular waterfront view, great for weddings & events, three restaurants & bars, a full-service spa & a 24-hour state-of-the-art fitness center. Nothing says “Get Well Soon” like a vibrant bouquet of fresh flowers from Stapleton Floral Design! 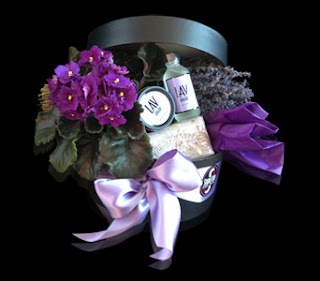 Browse all of our get well floral arrangements. The iconic Boston Harbor Hotel, what an amazing place for Kelly & Clinton to get married! Our team created elegant designs of white dendrobium orchids & lush tropical greens surrounded by branches of curly willow for the ceremony. 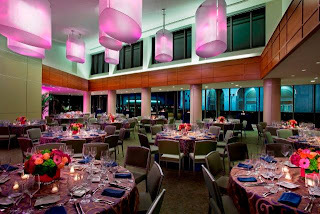 While the reception on Odyssey Cruises Boston included simple votives filled with romantic pale pink roses. Congratulations to the happy couple, we wish them all the best! 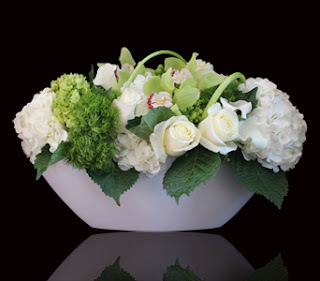 Bring elegance to any room with this design of white roses, calla lilies & hydrangea accented with green orchids & dianthus. Beautifully arranged in a slender white ceramic vase.